If you’re looking for cocktail ideas to get your party started, gin-based drinks are more popular than ever, with sales of the spirit topping £1 billion in the UK for the first time. Which is why our gin cocktail ideas are such a winner. Gin’s popularity has been boosted by the growth of artisan distilleries (40 opened between January and November this year alone), the rise of independent gin bars, and this month the first boutique hotel dedicated to gin drinking, The Distillery opened its doors on London’s Portobello Road. 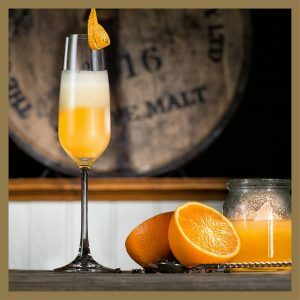 However, with connoisseurs now demanding more than a simple gin and tonic from their favourite tipple, we’ve pulled together 5 gin cocktail ideas and recipes to appeal to the most distinguished of palates. After 13 years of prohibition, legend is the first drink allowed back into the White House was Tanqueray gin. It’s Ten of Hearts cocktail is a stylish drink sure to put the fire into any party. Served in a frozen martini glass, it’s a winning mix of Tanqueray No. TEN gin, strawberry juice, lemon juice, Aperol and sugar syrup. And the secret ingredient is two dots of rhubarb bitters. See the Tanqueray website for this and other great recipes. Who can resist this festive sizzler from the team behind London’s first gin hotel? 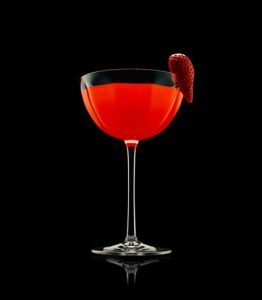 This is Portobello Gin’s red-headed version of the classic Cointreau and gin mix, The White Lady. 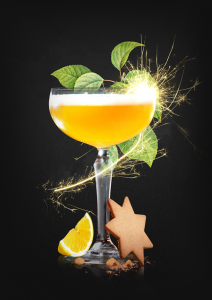 Originally developed as a Bonfire night treat, this fiery cocktail is sure to add sparkle to any celebration. The innovative mix includes a touch of gingerbread syrup to both sweeten and add a kick of winter spice. For the full recipe and others see the website for Portobello Road Gin. When it comes to taking gin seriously it is hard to beat the Sipsmith distillery. Started in 2009 by two childhood friends, it became London’s first traditional copper distillery to open since 1820. Their delightful tall glass cocktail, Navy Rose mixes V.J.O.P. (Very Junipery Over Proof Gin) with rose tea and raspberries. Romantically garnished with delicate rose-buds this is a special choice for serving under the mistletoe. 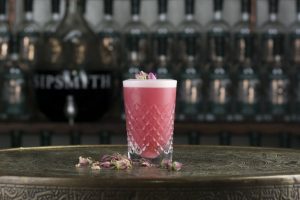 For Sipsmith London’s website for the full recipe. Ok, we know Watenshi isn’t technically a festive gin cocktail, but if you’re looking to impress with your choice of gin at Christmas, this Japanese gin is as exclusive as it gets. Priced at £2000 for a 700ml bottle in Selfridges there is only one way to drink it – neat or over ice. In true Japanese style, as much attention is paid to its aesthetic presentation of the bottle as to creating the sweet citrus notes of the liquid inside. It comes in a decanter bottle, designed by London based duo Loris & Livia and hand-blown in Cambridgeshire. And is beautifully finished with silver pieces by jeweller, Antoine Sandoz, whose clients include Chanel, Tom Ford and De Beers. 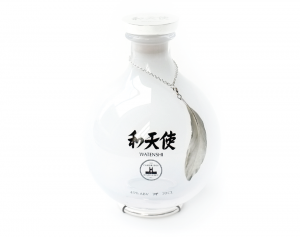 Only 6 bottles of Watenshi are produced in each batch and if you want it get shopping now because there’s a five-month waiting list for the next release. Here at TLC we like any excuse to go luxury shopping. 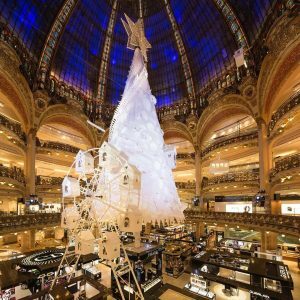 And this year, artist Lorenzo Papace’s breath-taking Arctic tree is reason enough to make a special trip to Paris’s biggest department store, Galeries Lafayette. The 140-ft tree is made entirely of recycled paper and sits under the centre’s magnificent Art Nouveau dome. It’s stunning and easily makes our list of the ‘world’s most spectacular Christmas trees’! Nearer to home, the Claridge’s Christmas Tree in London has long been a festive landmark in the city. Previously decorated by designers including, John Galliano for Dior, Kally Ellis of McQueens and Domenico Dolce and Stefano Gabbana it has become one of the places to look for stylish trends in festive decor. 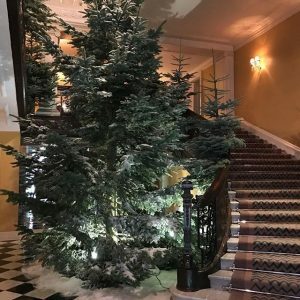 This year’s tree designers, Sir Jonathan Ive, Apple’s chief design officer, and his peer and colleague Marc Newson, have gone for an immersive, natural feel; creating a festive installation rather than a traditionally decorated tree. A step through Claridge’s revolving doors leads to a magical, snow-covered forest. The installation features four-metre high light boxes that glow with black and white photographic images of snow covered silver birch trees. Against this backdrop, rise cast models of Scots pine, layered with both natural and photographed silver birch and fir trees, reaching to a canopy of natural green pine. For number three on our list of ‘7 of the world’s most spectacular Christmas trees’ – we head to Japan. Last year this tree took home the Guinness World Record for “most illuminated tree,” with 534,280 lights. This year it’s even brighter boasting an incredible 550,000 lights! However, sadly this is the last year to see Osaka’s famous Christmas tree. But while this may be its final appearance we are sure that Universal Studios will have something equally mesmerising planned for next year’s celebrations and at TLC we can’t wait to see what’s in store. Christmas just wouldn’t be Christmas in New York without the Rockefeller Center Christmas Tree. First displayed in 1933, switching on its lights has now become a national event. 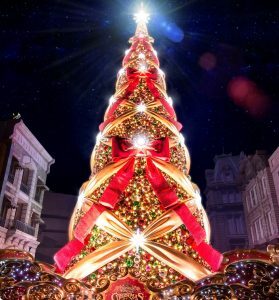 The year the 94-foot Norway Spruce boasts 50,000 multi-coloured LED lights and sparkling star on top made up of 25,000 Swarovski crystals, weighing a massive 550 lbs. Although the previous trees look huge, to find the biggest Christmas tree in the world we need to visit Italy. This tree stretches the whole height of Mount Ingino, some 2,130-feet and is lights the village below with 3,000 multi-colored lights. Anyone with youngsters in the family will know that there is only one toy on the list this Christmas – LEGO. It seems there are festive LEGO displays everywhere we look, but few can compete with the giant Christmas tree in Aotea Square, Auckland. Standing an incredible 10 metres tall the tree, which is made up of more than half a million LEGO bricks, took more than 1,200 hours to build. It’s star alone is made from 13,195 LEGO bricks and dazzles with 3,456 LED lights. native birds the kiwi and pukeko, as well recognition of their sunnier winter with a surfing Santa. 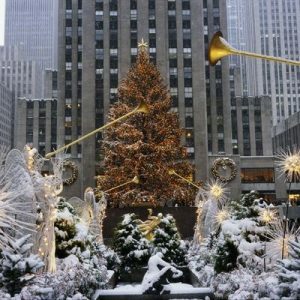 A great addition to our list of the ‘world’s most spectacular Christmas trees’!! It wouldn’t feel right to go around the world in search of Christmas trees and not stop in the country which introduced the tradition way back in the Middle Ages. Indeed, Germany is still home to many stunning designs but there is something both beautiful and luxurious about its singing tree. For more than 30 years, the Singing Christmas Tree has entertained the Rhine-Main region bringing melody, spectacle and fun to the Advent celebrations. At 7-meters high, this human tree is quite the sight to see. 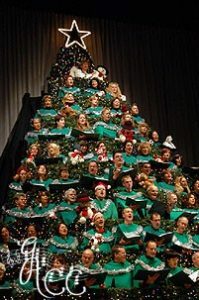 Today there are many community singing Christmas trees around the world and if you’re looking for something special to entertain at your festive event a singing tree could provide that magical ingredient. The incredible Ed Sheeran performed at a TLC-planned fundraising event for East Anglia Children’s Hospice (EACH) last night. 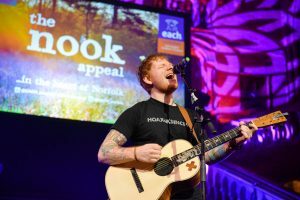 This was Ed’s first official performance of 2016 – a real coup for the charity! 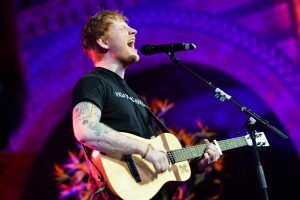 Ed Sheeran performed an exclusive live 45 minute set which included a rendition of Justin Bieber’s Love Yourself – a song Sheeran co-write but said he has never played live before. Check out images on our Facebook page – here’s a few to keep you going! Ed Sheeran performed at the event as part of his commitment to being a patron of EACH. 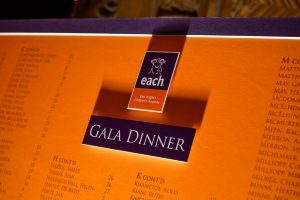 See our image galleries at www.tlc-ltd.co.uk for more photos.